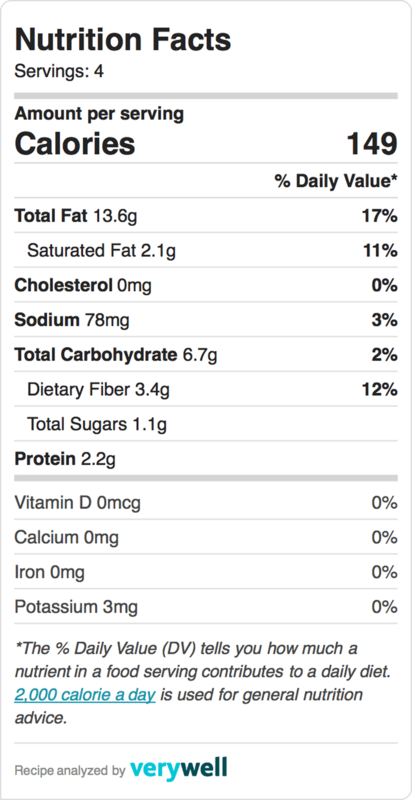 Artichoke Crisps (Alcachofas Fritas Crujientes) | Simple. Tasty. Good. We all know those colorful crunchy vegetable crisps right. They became very popular over the years. But have you ever heard of artichoke crisps? They are extremely crunchy, savory, full of flavor and enormously addictive… In other words the perfect easy appetizer recipe for your next garden party! I ordered these artichoke crisps (alcachofas fritas crujientes in Spanish) a few times in Barcelona as a tapa at the popular tapa chain restaurant Taller de Tapas. They were absolutely stunning and even more surprising as finger food. But don’t get your hopes up. Last time I was in Barcelona the artichoke crisps were not on the menu anymore. OK then, time for plan B. 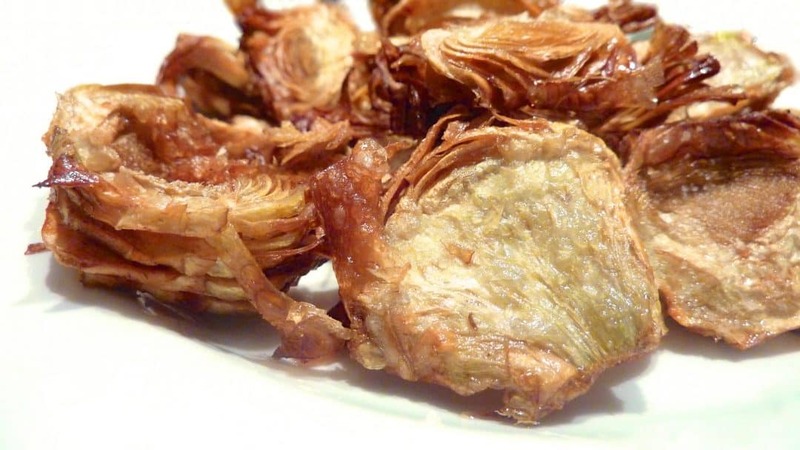 Try to make artichoke crisps at home! You can finely slice the fresh artichokes by hand if you’re brave enough and most confident of your good knife skills. I used my magnificent mandolin slicer to do the job. By doing so the fresh artichoke slices are all of the same thickness and fry evenly. Make sure the frying oil is hot enough so the tougher outside leaves get nicely crispy. Serve the crisps immediately, sprinkled with a simple pinch of salt. If you prefer a dipping sauce to serve on the side I would suggest a fresh cilantro mayonnaise: a few tablespoons of mayonnaise, a handful of chopped fresh cilantro leaves and a drop of lemon juice to taste. These artichoke crisps are truly one of my favorite party food from now on. Great finger food! Looking for other artichoke recipes? Check out my fried artichokes with cilantro mayo sauce! Or how about my fried artichokes in white wine with chorizo! Heavenly artichoke crisps: they are crunchy and addictive! The perfect artichoke appetizer recipe for your next garden party! Bring a large pan of water to a boil. Stir in the vinegar. Remove the toughest outside leaves of the artichokes. Chop off the stems. Carefully slice the artichokes thinly. Blanch them in the hot water for 2 minutes. Remove the artichoke slices with a slotted spoon and leave them to dry on a clean kitchen towel for a few minutes. In the meantime heat a frying pan. Fry the blanched artichoke slices in badges until they look golden and start to crisp up. Drain them well on some kitchen paper. Transfer the crisps to a dish and sprinkle with some salt. Serve them immediately while still hot.